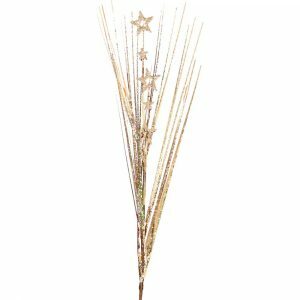 The 1.4-metre Holly Garland measures approximately 4.5 cm in width and is the ideal way to accentuate the season around the spaces of your home and yard. 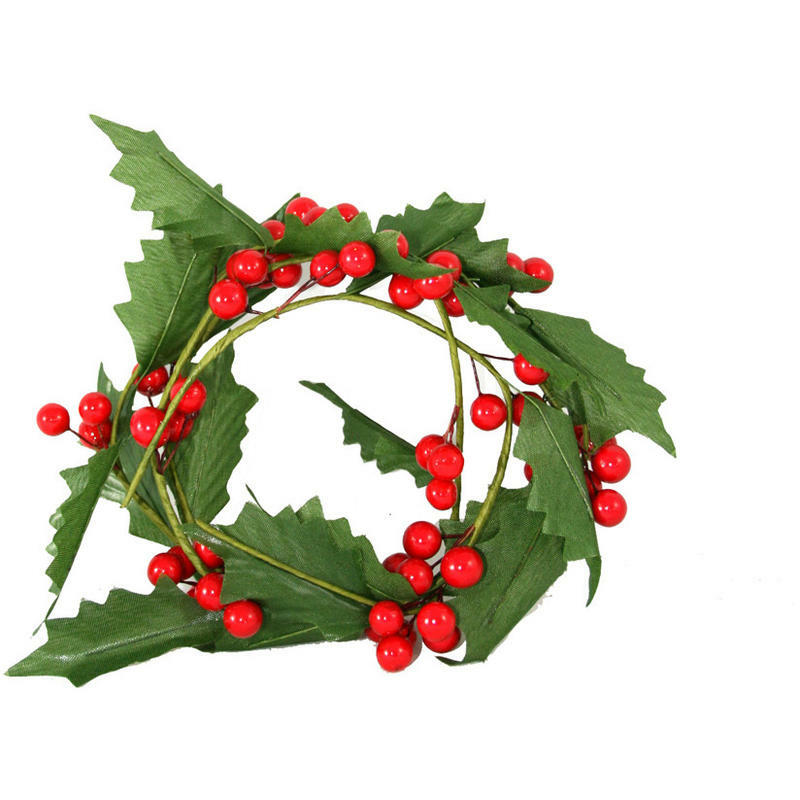 Each length of superlative-quality garland is rich with green holly leaves, lush red berries, and will provide a natural look wherever you choose to display it. This garland makes an ideal accent for the Santa Door Hanger, offered and sold separately, and would reflect the simple pleasures of the holiday cohesively throughout your space. Wrap this around a gift box or wrapped gift for a distinctive package that everyone will hope is for them! 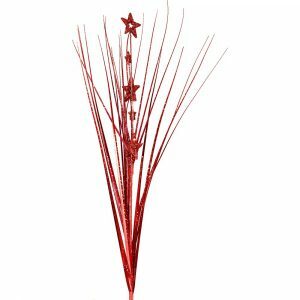 This works well, also, when used with LED strand lights to illuminate and highlight the natural beauty of this foliage. 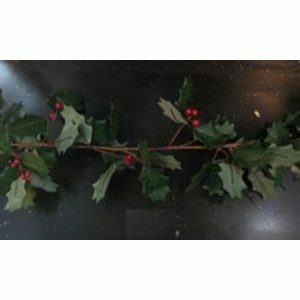 Use this indoor or out- make your home a Christmas wonderland with the beautiful and versatile Holly Garland!